Here at Marigold & Grey, we're not just obsessed with weddings and welcome gifts but also with the Fourth of July. We love celebrating the freedoms that are so dear to us with the people who bring so much joy to our lives. 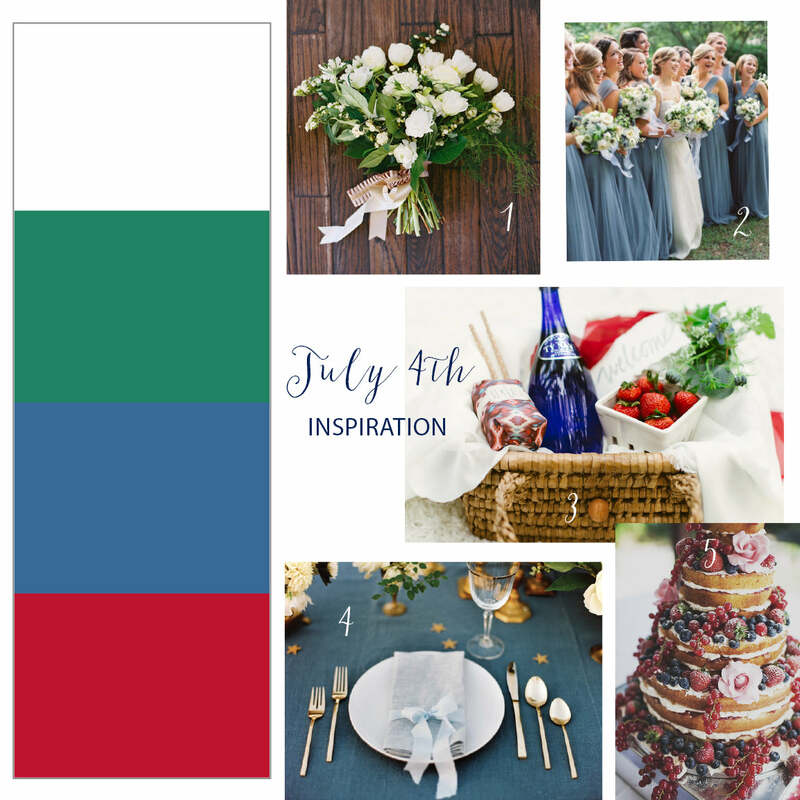 Throw a chic patriotic wedding on top of all that Fourth of July goodness and we might just die of happiness! Think lush, organic, green and white florals on a background of dusty blue linens topped with a tiny pop of sparkle in the form of gold flatware. Add flowing chiffon bridesmaid dresses in the most dynamic blue and a red,white, and blue naked caked stuffed with decadent strawberries and blueberries. And to top it all off, the chicest americana welcome baskets filled to the brim with local treats and treasures. Please excuse me while I shed a few tears as I remember that I already got married. Vow renewal anyone? What is your favorite way to celebrate the Fourth of July? We would love to hear!